Glovebox Direct is raising £120,000 investment on Crowdcube. Capital At Risk. Operating in a market that spent €26bn on parts and services in the UK alone, Glovebox Direct is an online automotive parts, accessories and merchandise marketplace. The company, which is now in beta testing with Suzuki, is raising funds to grow the team and fund marketing activity. 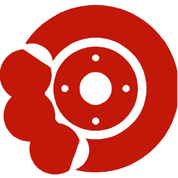 Glovebox Direct is an online automotive parts, accessories and merchandise marketplace selling original equipment direct from the car and bike brands. After years of managing eCommerce marketplace sales for BMW, Toyota, Nissan and others, we know consumers struggle to buy the products today, so less than 5% of the market is online. The market as a whole spent €26bn in the UK alone on parts & services in 2014. Today consumers shop on eBay, Euro Car Parts, and other sites. Consumers can find only a very limited subset of product from the original car & bike manufacturers and find existing solutions difficult to use. - Click & fit services enabled so customers buy online and can additionally book in their servicing & fitting. This lets us offer a feature that some manufacturers don't have on their online store. - Four manufacturers have shared product data to build proof of concepts and we are in early stage discussion with other brands representing 54% of the vehicles on the road. - Presenting alongside Suzuki in their Suzuki Village at the Classic Bike Mechanic Shows. One of the ways in which manufacturers will be co-marketing with us. To see the rest of the Glovebox Direct pitch, join now. Join to read more information about the Glovebox Direct team, documents, and what other investors are saying about the pitch.